started in Chicago last spring, finished in Long Beach a couple weeks ago. thanks Steve! 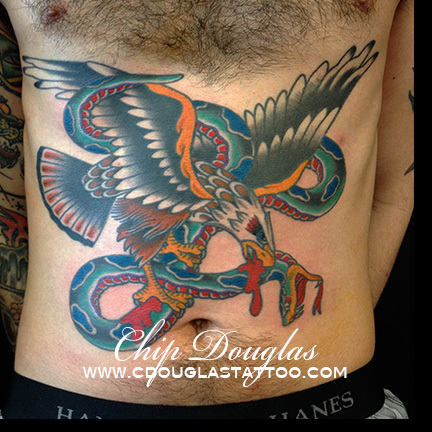 This entry was posted on February 6, 2014 at 5:05 pm and is filed under chip douglas tattooing, Uncategorized with tags chip douglas, eagle tattoo, long beach tattoo, port city tattoo, snake tattoo, stomach tattoo, traditional tattoo. You can follow any responses to this entry through the RSS 2.0 feed. You can leave a response, or trackback from your own site.